There are many different stages of detailing with ‘sub-stages’ within them. The pre wash as many will agree is one of the most important steps to take before having any contact with the vehicle. The idea behind the pre wash is to get as much filth and solid material OFF the vehicle before you run a wash mitt over it, which would possibly get trapped and inflict scratches and swirls. 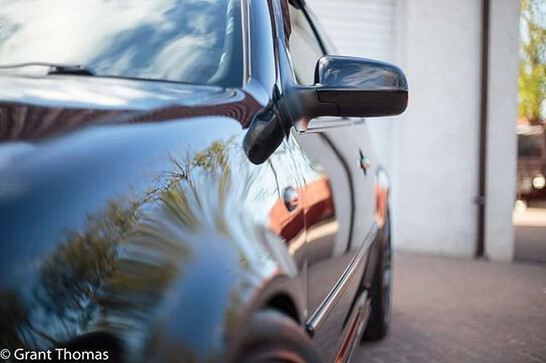 Over time these scratches would build and reduce the levels of gloss in the paint – and those horrible spider web looking scratches in the sun, no one wants to see that. For me I will always recommend a ph neutral snow foam over a TFR (Traffic Film Remover) as foam tends to be a bit more gentle to paint. 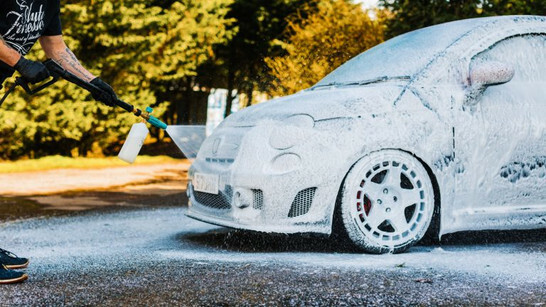 A snow foam is essentially your car shampoo with a little extra foam and a little more cleaning agents. Due to the thickness of the foam this allows the detergent to get to work on breaking down the grime on the paint meaning when its time to pressure wash the foam off, it takes a majority of the grime with it. If you need a little extra cleaning power in the pre wash stage if the vehicle is excessively dirty, you can always change up the dilution ratio of the product. A majority of manufacturers recommend 10:1 water/foam but you can take this to 1:1 for grubbier cars or even mix in a little All Purpose Cleaner (APC) and allow to dwell for longer. This works well on vehicles without wax, or even on filthy engine bays. If your looking for my set up, I currently use Auto Finesse Avalanche on customers vehicles matched with their own new Snow Foam Lance.